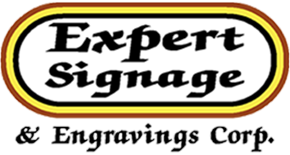 Your sign is your image, and at Expert Signs LLC, we take pride in making you look your best. Our company has established itself as a premier player in the sign industry. The company was founded with the main goal of offering great service at an affordable price. We pride ourselves on our wide range of custom products and services. Our ability to understand your needs and deliver exactly what you're looking for is what sets us apart. We look forward to making you a happy customer! Engraved signs transform ordinary directory and office signage into sophisticated branded imagery. Our engravedÂ products come in a wide variety of materials, including: metal, acrylic and wood.